Let us raise a toast to Frenchman Georges Melies. For folks who just answered, “Georges who?” Melies is a director from the early 20th century who pioneered many film and photography techniques such as storyboards, use of multiple exposures and substitution effects through film splicing. Not bad for a guy who caught flak for drawing on his textbooks. Melies is also credited with one of the earliest uses of time-lapse photography. Essentially, it’s a technique that lets you capture changes in scenery over a long period by taking several photographs and presenting them as a quick, shortened movie. If you’ve ever marveled at a scene of the Golden Gate Bridge showing sunset turn into nighttime while cars zip by as if they were being fast-forwarded in time, then you have most definitely seen timelapse in action. It’s also a technique that has garnered a following through the years among professional and amateur shutterbugs alike. Even with the advent of digital photography and new technology options, however, taking time lapses can still be intimidating to a lot of folks. A big part of this involves the technical knowledge required to take good quality time lapses. This includes proper exposure as well as how to use peripherals like an intervalometer, which allows you to make your camera shoot pictures at a set interval. This brings us to the Alpine Labs Pulse wireless camera controller. A palm-size gadget with a look that seems to be inspired by the Starship Enterprise’s futuristic nacelles from “Star Trek: The Next Generation,” the Pulse is a Bluetooth-enabled device that lets you communicate with your camera wirelessly through your smartphone or tablet. It is also the third time-lapse gadget from Alpine Labs after the Michron and Radian. For its part, the Pulse’s origins can be traced back to crowdfunding site Kickstarter, where it raised about $1 million from more than 12,600 backers. The device then launched publicly on November 2016 with a price tag of $89. Included in each box is the Pulse module, one USB charging cable, one USB camera cable, and a mini carrying pouch. Portability is certainly a key feature of the device. At its longest point, the Pulse measures only 2.5 inches and is very lightweight, making it easy to carry around with you. It also conveniently slides into the hot shoe of a compatible DSLR or mirrorless camera, so you don’t have to worry as much about misplacing it when you’re using it outside in the field. In terms of staying power, the Pulse can go for up to 24 hours on a full charge, providing added flexibility from its extended operation time. Charging time is admittedly long at four to five hours. This can be an issue in a pinch, though you can always just charge it halfway and still get half a day’s worth of use from it. Setting up the device, meanwhile, is quite easy. All you need to do is make sure Bluetooth is turned on for your phone or tablet then download the Pulse Camera Control app, which is available from Apple’s App Store for the iPhone and iPad or the Google Play store for Android devices. Once you have the app, just slide the Pulse into your camera’s hot-shoe, connect it to your camera via the included USB cable and make sure both your camera and lens are in manual mode. Turn on your camera and the Pulse and you should see its name show up in the app for syncing. Once connected, you can wirelessly control the Pulse at up to 100 feet, which gives you a lot of space to work with. For this review, we tested the device on a Canon 6D with an EF 24-105mm, 4.0 L lens and it synced with no issues. One of the neat things about the device is the amount of control it gives you over your camera. At its most simple, you can use it as you would any basic wireless controller, allowing you to trigger your camera remotely to take photographs or even video if that happens to be a feature your camera supports. It’s the depth of camera control the Pulse provides, however, that makes it more than just a glorified wireless controller. This is especially neat if you don’t like fiddling with your camera’s built-in controls, which can be cumbersome due to the unwieldy user interface often seen in a lot of them. You can change key settings straight from the app such as aperture, shutter speed, and ISO, for example. For low-light photography or creative imagery that lets you turn highway shots of moving cars into streaks of light, you can do long exposures, too. Do you like dabbling in high dynamic range or HDR photography? You can easily bracket shots and take multiple exposures through the Pulse app as well, something that can be a bit of a pain when doing so manually through your camera’s settings. Then again, the added convenience from such features still might not be enough for some folks to justify getting the Pulse. That’s where its time-lapse features come into play. Using the Pulse app in tandem with its module, you can program settings such as shooting intervals and duration timing for taking time-lapse photographs. To help you monitor your work, the app also can display thumbnails on your smartphone or tablet as well as a histogram to make sure your exposure is on point. In addition, the app displays information for the number of photos it will take for a time-lapse project, as well as an estimate on how many minutes your footage will be when put together based on a target frame rate. For time-lapse aficionados, however, the ultimate prize is known as the “holy grail.” The term refers to a time lapse that perfectly captures the transition between day and night, such as sunrise or sunset. This can be especially challenging due to the different exposures and settings required in order to pull it off successfully. To help with such transitions, the Pulse allows exposure ramping, which is typically considered the gold standard for taking smoother, flicker-free time lapse transitions. The Pulse also has an advantage over certain time lapse options in that it allows you to change camera settings without actually touching your camera. This reduces the risk for camera movements that can ruin an otherwise perfect time lapse. Once you have your settings dialed in and sent to the Pulse module, you can turn off the app — or even your phone or tablet — and your camera will continue to take photos based on the information you programmed. Otherwise, you can also make adjustments to the settings even after your time lapse has already started. At the same time, the Pulse also has some niggles that potential users will need to think about. While it allows the use of more camera options than Canon’s free Magic Lantern, for example, compatible cameras are limited to Canon and Nikon’s line of offerings. Granted, those are the two most popular camera brands for professionals and prosumers alike but folks who use brands such as Sony or Olympus will have to look elsewhere. We also wish that the gadget would allow you to see a live display of your camera’s view or at least provide a higher-quality thumbnail for your perusal. Instructions that come with the device also are on the sparse side so you need to already have a working knowledge of time lapses or photography in general. Otherwise, you will have to look things up online. This, by the way, brings me to a key point about using the device. Note that the Pulse is not some magic cheat code that will instantly turn a beginner into a time-lapse professional. 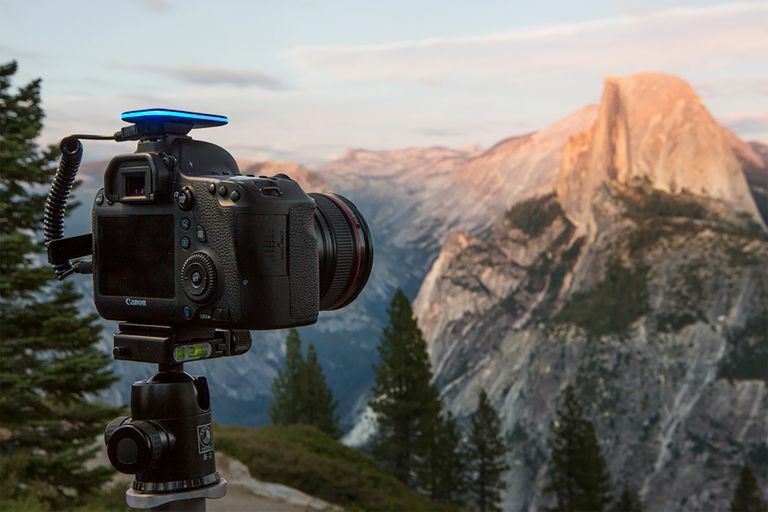 If you have no clue about HDR photography or time lapses, the device won’t magically make you know about them. Punch in the wrong settings, for example, and you will come up with bad results or even get an error code. In fact, if all you need is a device that can trigger your camera remotely to take photos or video, the Pulse will pretty much be overkill as there are cheaper options out there for doing just that. If you already have knowledge — even if it’s just basic — about long exposures, HDR or time lapses, however, then the Pulse becomes a great tool that makes it easier to do all those things. We did enjoy the features afforded by Pulse, especially after switching cameras. The added convenience of being able to change all sorts of settings on a smartphone without having to fiddle with the UI on a camera is a godsend. The Alpine Labs Pulse portable module is a great option for folks looking for a wireless camera controller that can do more than just remotely take photos and video. Thanks to a wealth of features, creative types can do all sorts of things straight from their smartphone or tablet, including bracketing shots for high dynamic range photography or taking long exposures for dramatic low-light shots. It also includes a variety of options for doing time lapses, including exposure ramping to achieve the “holy grail” of day and night transitions. Compatibility is limited to Canon and Nikon cameras and we wish its app provided better previews. It also requires technical know-how to really take advantage of, which is compounded by its sparse instructions. Overall, however, this is a versatile tool for folks who like to up their photography game, so to speak.